Once may be enough for Led Zeppelin as band members reunite for the first time in 19 years at a much hyped London concert.Some 20 million people competed in an internet lottery for the 18,000 tickets for the show at O2 arena.It has been postponed for a month because of guitarist Jimmy Page’s broken finger. 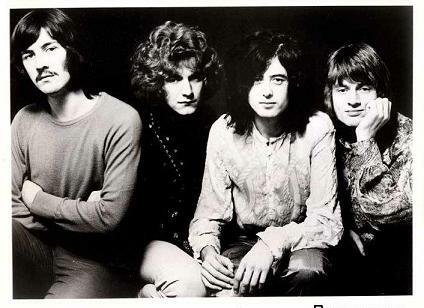 Page,63;John Paul Jones 61,and Robert Plant,59-original members of the band-have recruited drummer Jason Bonham,41,to take the place of his father,John Bonham who died in 1980.The band split up after his death and whether there will be any more Led Zeppelin re-unions is an open question. Led Zeppelin had reunited briefly in 1985 for the live Aid event and again in 1988 for a major 40th anniversary concert for Atlantic Records.They also played a short set with other musicians when they were inducted into the Rock and Roll Hall of Fame in 1995. Some of the videos were up on YouTube. But they’ve removed most of them. I see that you saw The Host. What did you think?